The Company is available for a diversity of programming geared toward a range of populations, including ESL bilingual students, parents, teachers, administrators, and special education students, including the developmentally delayed and the physically challenged. We have conducted professional development workshops for New York City Department of Education dance educators and have helped to write the Blueprint for Teaching and Learning in the Arts, a curriculum mandated by Mayor Bloomberg. Working with the medium of dance, we offer workshops emphasizing team-building, stress management and trust. This critically and publically successful series of lecture-performances is designed to demystify concert dance and to empower audiences to speak about dances they have just seen. This program is central to the Company’s mission of making dance accessible to all. Narrated by Daniel and the Company, the focus of these programs is specifically to increase one’s understanding of dance through an intimate, personal interactive exchange. At the least audiences may learn choreography, such as The Chair Dance, while in their seats. 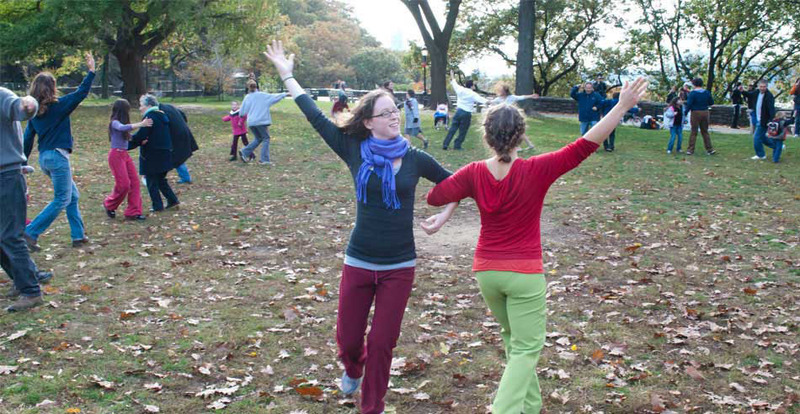 The Company has collaborated with a host of institutions including the NYC Department of Parks & Recreation and Friends of Fort Tryon Trust to present interactive public workshops designed for all ages and skill levels.